This is a sponsored post on behalf of Cheerios. All opinions are my own. 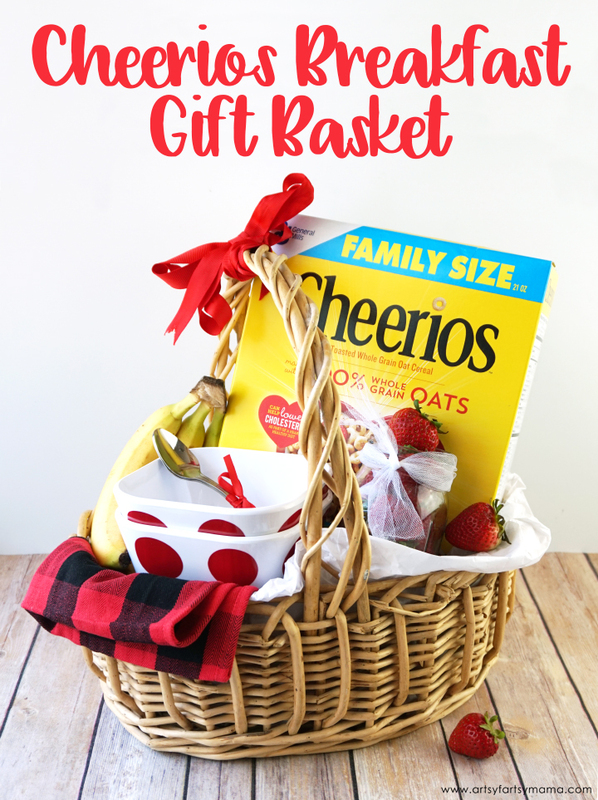 Put together a Cheerios Breakfast Gift Basket for friends and family! Gift baskets are a lot of fun to put together, and this breakfast-themed basket works for all occasions. Cheer up a friend, family member, or even a new neighbor with a box of Cheerios and some other breakfast essentials so that they have at least one meal that they don't need to worry about! I've even included a free printable card for you to download and add to the gift basket when you're done filling it up with your favorite breakfast items. 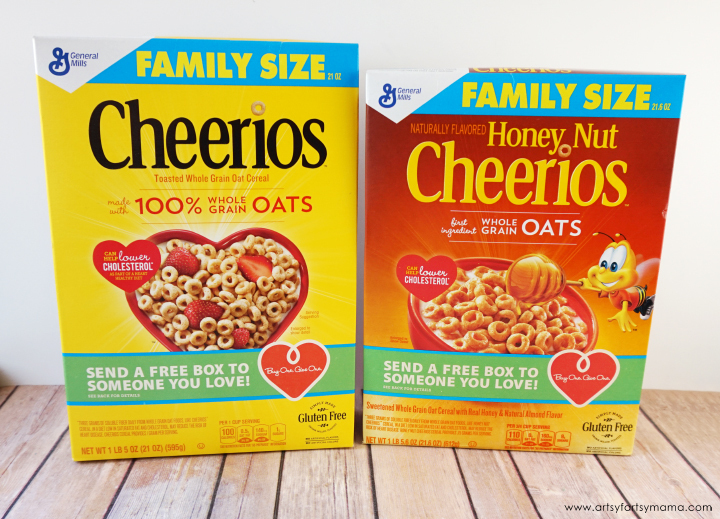 By participating in the buy a box, give a box promotion you can give the gift of Cheerios to your loved ones! Find your code inside specially marked packages in Walmart stores and enter it on http://wm6.walmart.com/Gluten-Free-Cheerios to send a coupon for a free box of Cheerios to someone that matters. There are a variety of Cheerios to choose from that are part of the promotion, so there's something for everyone! We grabbed a box of regular Cheerios and some Honey Nut Cheerios to share with friends. Along with the cereal, I wanted to include a few breakfast essentials. 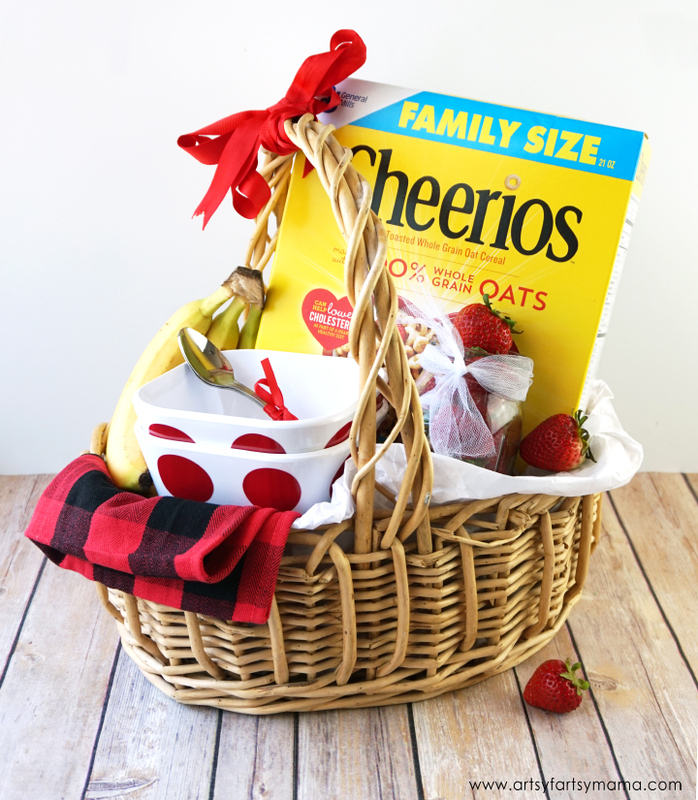 Cheerios taste amazing with sliced bananas and strawberries, so I picked out some of each to add to the gift basket. I also found some fun bowls and spoons, because a meal is just a little more fun when your dishes are cute! 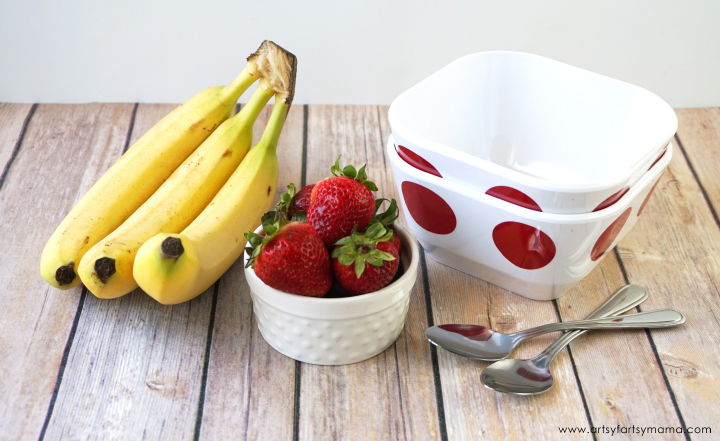 Arrange the cereal, fruit, bowls, and spoons in a basket. I lined the bottom with some tissue paper sheets and a colorful cloth napkin. Finding ribbons in coordinating colors also help to bring the gift together. For example, I used a thin ribbon to tie the spoons together, wrapped some tulle around the jar of strawberries, and tied a large red ribbon around the basket handle. 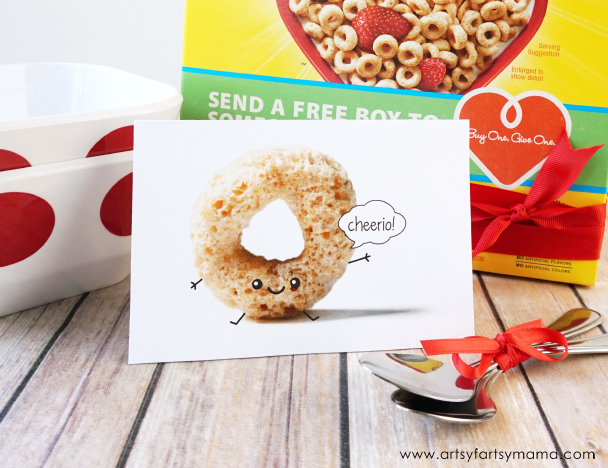 Every gift needs some kind of a card, and I've created the perfect one for this Cheerios Breakfast Gift Basket! An adorable Cheerio sits on the front, waving his little hand, and greeting you with a "Cheerio!". For best results, print the card on a heavy cardstock and use a scoring tool along the center of the card to get a clean fold line. I'm excited to see my friend's reaction when she receives this Cheerios Breakfast Gift Basket. It was a lot of fun to put together, and I'm looking forward to sharing a lot more Cheerios with the the buy a box, give a box promotion!! Who would you share a box of Cheerios with?